It is usually said that there’s no such substitute to experience but there are certainly shortcuts to it. When it comes to web development, it’s all about gaining experience and knowing the tips and tricks that you’ve acquired with age. All great web developers start with HTML and from there comes a plethora of tools that every developer can utilize to design great websites. The basics would be an image editing software or a text editor. But why would someone be happy with just 2 tools when there is a wide array of tools available on the net? 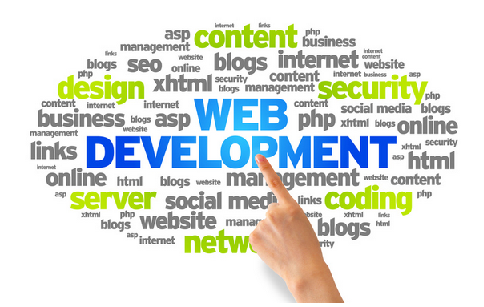 Here are some website development tips and tricks for the budding web developers. Clear floating elements: A part of the grind for all web developers is to clear all floating elements. But how do you clear floating list elements without actually setting a height? The answer to this is pretty simple. You just have to add 2 CSS properties to the list that contains the floated listed elements: “display: block; overflow: hidden;” Now when you check the list container with any DOM inspector, you will see that the attribute to height has been calculated and this fixes the issue. Sandbox: If you’re a budding web developer who wants to develop techniques, new kinds of transition or CSS effects, for instance make it as a sandbox project. You can keep uncluttered experimentation by outside influences and this make the code easier to debug if something is not working properly. Do one thing at a time: A developer of Didlr, Ben Howdle says that he can’t stress enough on the Single Responsibility Principle. Each and every object in your code needs to have a particular function and this is same with CSS. Don’t make the mistake of putting all style within a .button class. You can rather split them into .button-structure and .button-face and so on. Automate testing: Don’t waste your precious time in manually running unit tests in website development and design. Rather automate it as the time that you spend on getting to grips with MSBuild and Nant is good time spent. This will reduce the number of hoops which you need to jump through when the deadline is looming. Therefore, when you’re wondering about the website development tips for a budding developer, you can take into account the above mentioned advice from the professional experts.